Smartphones have become popular among consumers across the world. Due to their capability to run online and offline applications along with searching on the web browsers; everyone loves keeping them in their pockets. Easy access to internet-enabled these devices to offer consumers an on the go access to information they require. Rising use of mobile devices has made it necessary for businesses to access mobile platform for brand promotion. Though development of the responsive website, efficiently support enterprises to capture audience via mobile screens; they have to put extra efforts and innovations to earn profits. Mobile app development in Dubai is listed on the top; when it comes to growing financial earnings and user engagement. Below I am sharing five unique ways mobile apps are offering to benefit businesses. Recent studies on consumer attitudes have shown that an impressive number of people across the world are daily using smartphones to access information. The simplest way to increase brand visibility in the market is to develop a free downloadable app for consumers. Moreover, advertising via social media channels will further attract more customers. If products are genuine and offer are beneficial; a sensibly designed app with an eye-catching icon will help make any business noticeable and recognizable. If the app is good and offer some value to the consumers, either in the form of services or help them to purchase item quickly; they will be compelled to use it. Its usefulness kept customers happy and engaged with their vendor in a long-term. Business apps allow business owners to interact with the real consumer. Entrepreneurs use this information smartly and send special offers via push notification to consumers. Earlier notifications allow about upcoming offers to only active users, make them feel special. This will build loyalty among consumers. Wishlist creation to offer latest updates and discount offers on desired items is another way to foster loyalty among customers. Good ranking on search engines is a strong desire of every brand. Online presence has become mandatory these days. Google reports have documented a significant increase in mobile search. Traffic coming from mobile devices has become equally important and valuable. Google mobile first indexing shows that brands with a responsive website will be indexed on priority basis instead of desktop version. Nowadays presence on a mobile platform is the key factor to gain higher ranking and improved conversion rates. This is why businesses irrespective of their sizes are paying attention to launch a mobile app. Mobile app development is a significant investment for small business owners. As they often have too many responsibilities to oversee and little funds, they may feel doubtful to invest time and money on it. 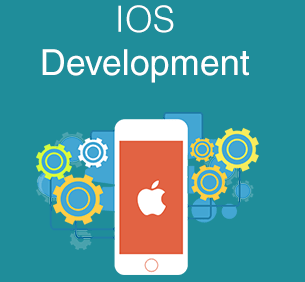 Boosted profits and good ROI encourage them to spend money and time on mobile app development. Visible and conveniently located CTA button and an option to handle financial transaction via phone or tablet will drag more conversion. Endnote: High quality mobile app development in Dubai is actively benefiting SMBs after enhancing their visibility and brand image in the market.